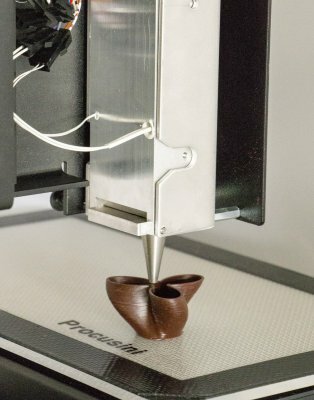 Read-out Instrumentation Signpost: Printing food. The NTC temperature sensor from Variohm EuroSensor is used as part of the Procusini's temperature control throughout the printing process. The foodstuffs are supplied in cartridges as solid materials and melted in the machine’s heating block by precise pre-set temperature regulation to maintain a constant temperature during printing. 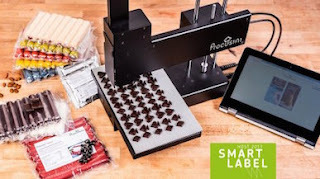 This process is fundamental to the Procusini 3D food printer, as the ideal combination of temperature and the various food formulas used ensures that the food is fluid and can be delivered through the print head. To maintain stability of the three-dimensional shape produced, the material assumes a solid consistency at room temperature.